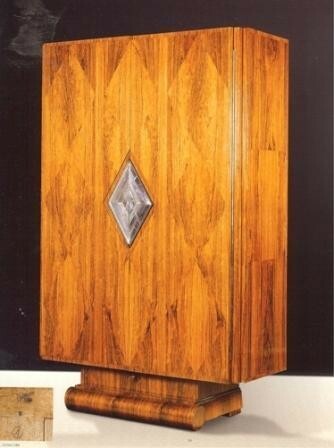 This cabinet features a subtle diamond pattern of Palisander. The diamond pattern is also reflected in the lock-plate. The cabinet is supported by a recessed double scroll base.